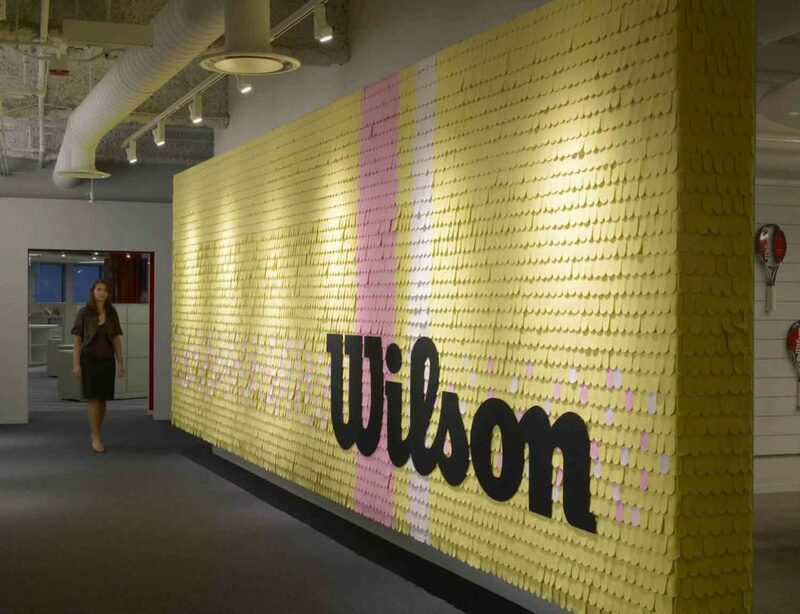 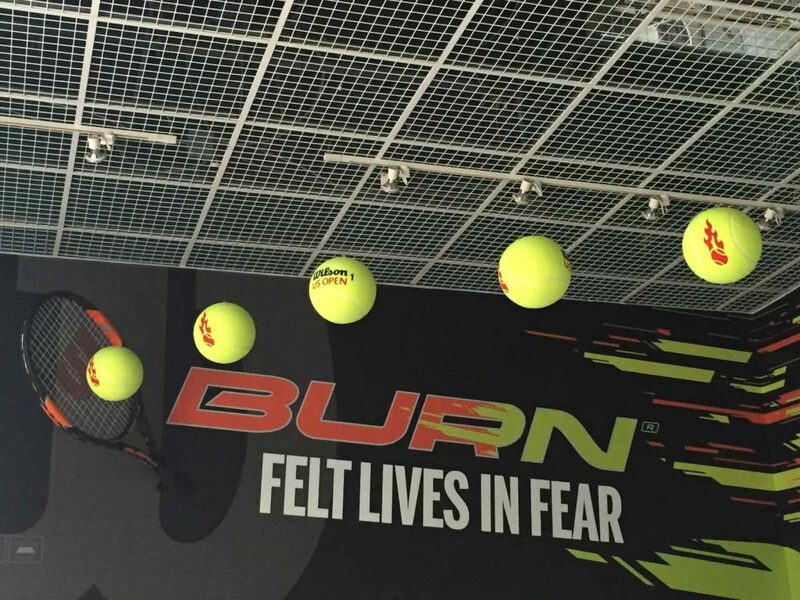 Tennis ball skins form the tableau for this engaging branded corridor wall. 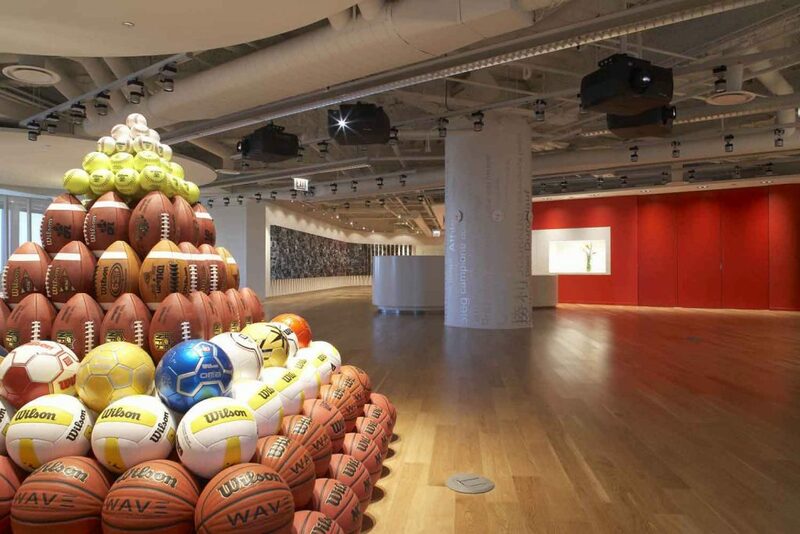 A composition of team sports ball skins creates texture and interest. 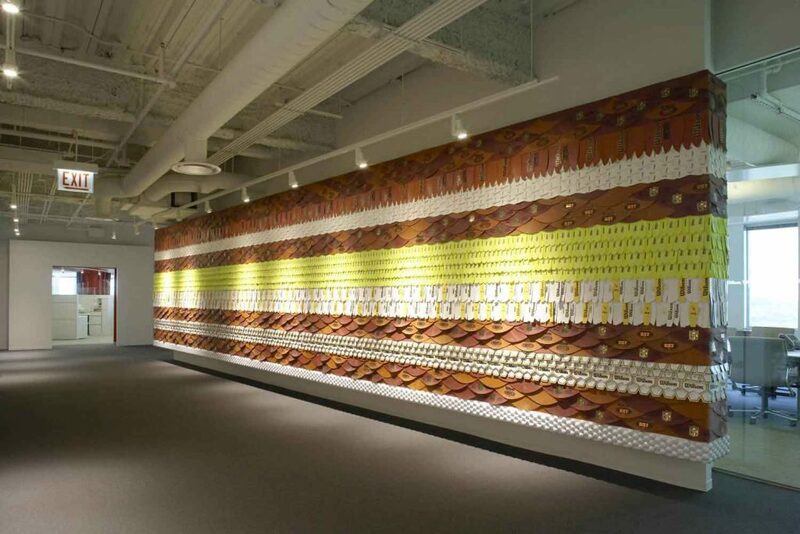 Folded aluminum skin is digitally printed, giving an illusion of depth, along with the ability to change or move as the image is viewed from different angles. 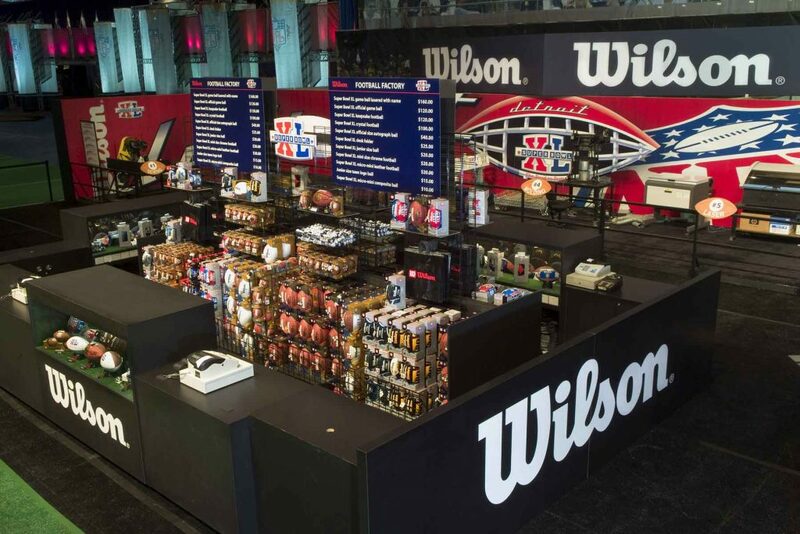 Wilson custom footballs are handcrafted from premium American leather. 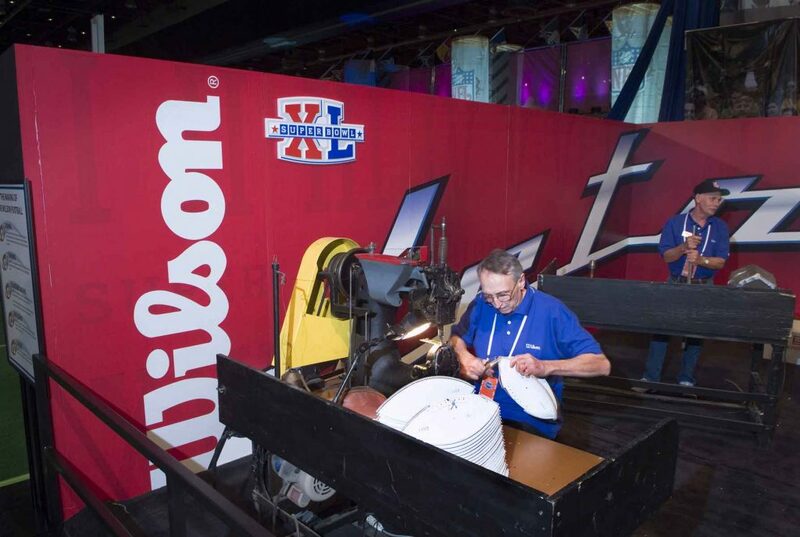 Guests can see the work in process. 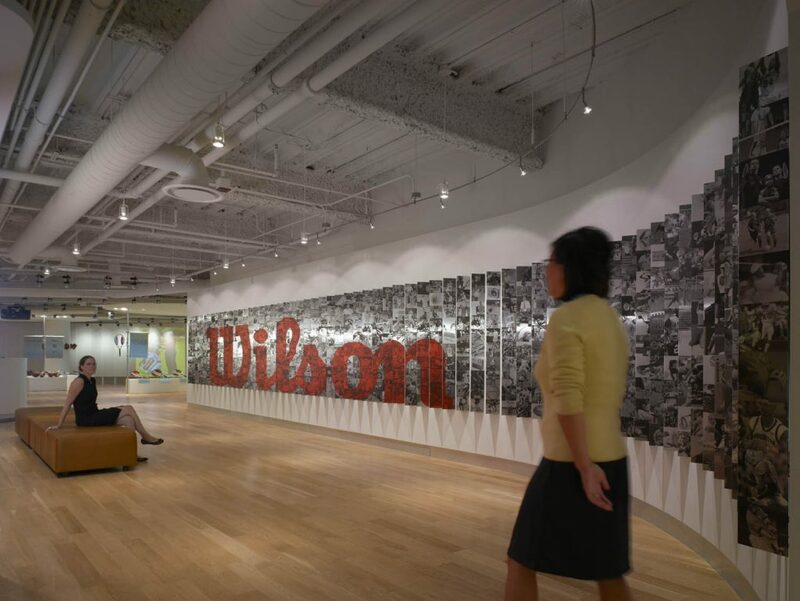 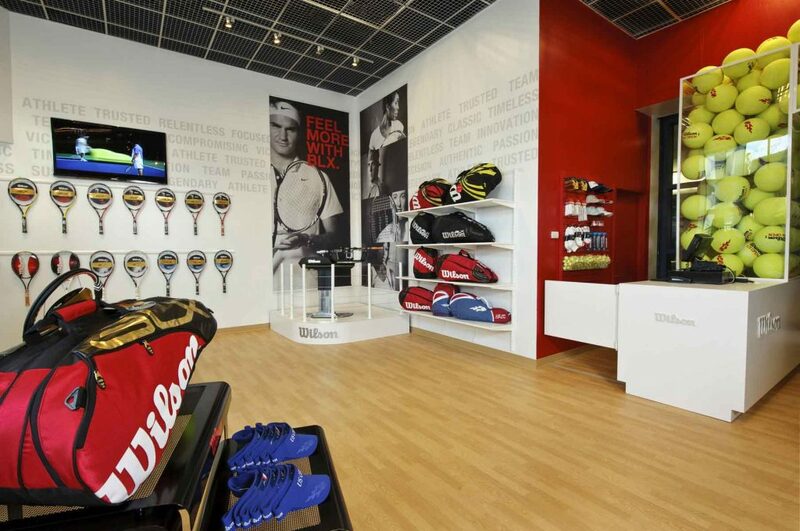 Wilson Sporting Goods Company is one of the most recognizable sports equipment brands in North America. 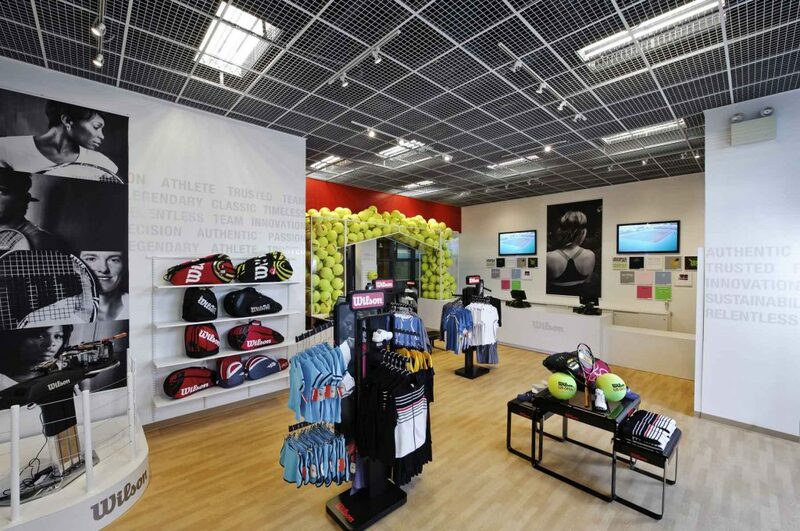 CenterPoint is a key partner in presence marketing. 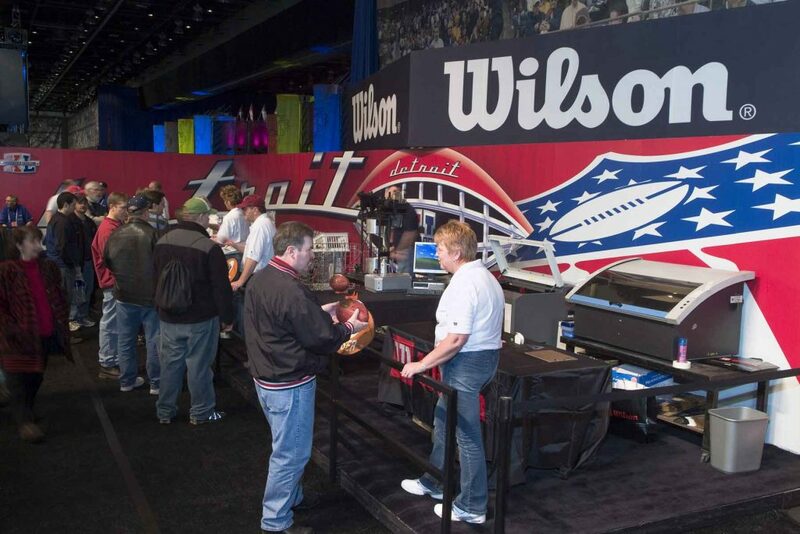 From corporate headquarters brand support to a wide range of tradeshows and consumer events, CenterPoint maintains brand consistency with refined logistical service.